The studio when clean and tidy... please don't expect it to look like this too often! Please have a browse the galleries below to see examples of my work. If you see anything you would like to purchase please do get in touch on 01507 526842 or email us for more information. 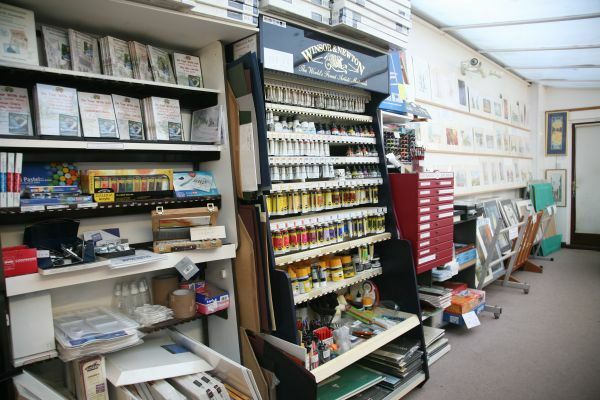 We can take card payments over the phone and then dispatch original paintings, prints and cards to you, wherever you are! Prints (and also greetings cards, left blank for your own message) are taken from some of my of original paintings. The current range of prints steadily evolves, so not all are on show here - please contact us for up to date information on available prints - we will perhaps have recently completed a print run of a subject that fits your requirements. Prints are usually available in 2 sizes - the smaller size prints have an image size of up to 11" x 7" and cost £25 mounted. The larger size prints have an image size of up to 17" x 11" and cost £50 mounted. All plus carriage at cost. Prints are shipped mounted but unframed, due to the danger of broken glass. A complete framing service is available at the studio. 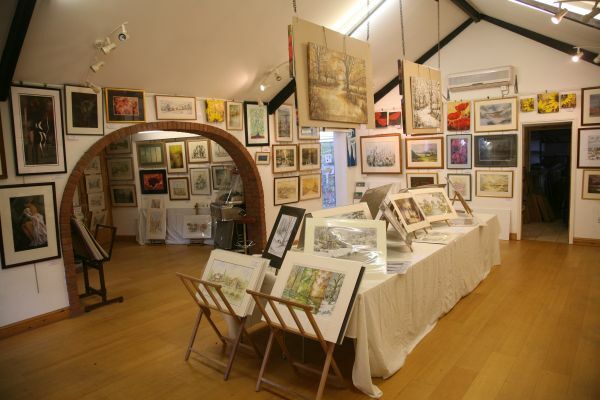 Original paintings are also available - have a look at the gallery below, and if you spot something you like, please get in touch on 01507 526842 - we can check that it is still available. There are always more original paintings at the studio than on the website - please get in touch to see if we have something here on the wall that might suit your requirements... and don't forget that I am always happy to discuss a special painting just for you - the word "commission" always sounds scary but please don't be afraid to ask about a specific painting to be done just for you... always and only on the understanding that when you see the finished work, if you don't happen to like it, you have the courage to say so! There is no point in being the proud owner of a painting that you don't actually like! Originals can be sold mounted but unframed, suitable for sending to you by courier. Any "online" sale is sold subject to your liking the painting when you see the real thing... just talk to us! From the studio, we also offer a full framing service. Paintings from here are still sold on the understanding that they can be exchanged if the painting that you have chosen doesn't look quite right in your home... just talk to us! The size listed for each painting is the approximate image size in inches (remember those?) The mount can be made to suit your taste, both in width and colour.